This stupid semi-cold I have is making me crazy! I got almost no sleep last night, because my throat was sore, my head was aching, and my nose was either stuffy or runny. 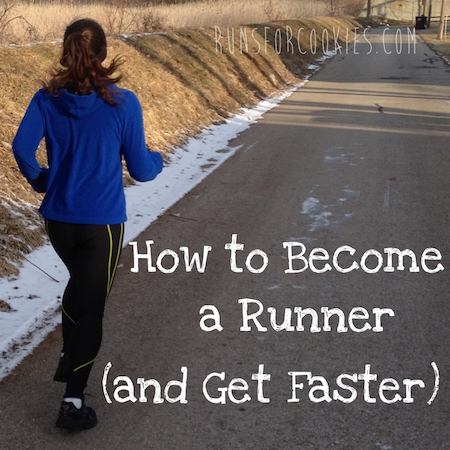 It's the same thing I had going on just before the Detroit Marathon; it never really turned into a full-blown cold, but just these irritating symptoms. Since today was a rest day, and I was wide awake at 5:00 this morning, I just stayed in bed and watched a movie until it was time to get the kids ready for school. I was a little nervous about my Wednesday Weigh-in this morning, because of how horribly I ate over the four days I wasn't running. I was actually down a pound from last week! I was very happy to see that, after feeling like I'd gained 100 pounds from all the snacking I did. Sunday was awful--I ate nearly 100 PP that day! The worst part about eating like that is that it's SO hard to get back on track the next day. I start to think, "Well, one more day can't be much worse, so I'll just get back on track tomorrow..." and then tomorrow comes and I say the same thing. That is a VERY slippery slope, and that is how I gained back 15-20 pounds last year. My conversation with Pete Thomas in September made me really focus on making a plan for this year, when I tend to gain weight (all spring and summer long). This time, I promised myself that I wouldn't use the "just one more day" excuse if I binged or just had a bad eating day. 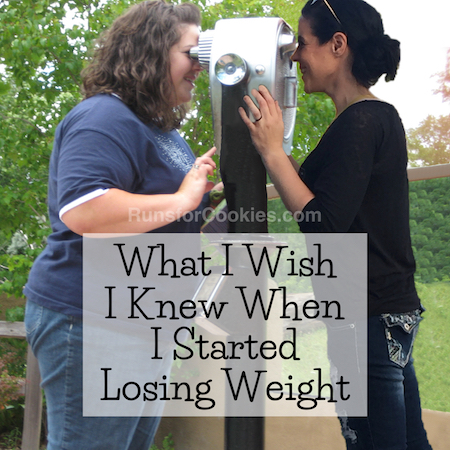 So on Monday, I was thinking, "My weight is already probably going to be up this week, so what can it hurt to just have one more day of constant snacking?" It was SO hard not to give in to that mentality, but I kept reminding myself that I promised I wouldn't use that excuse anymore. If I had a bad day, I wouldn't let it turn into two days, or a week, or more. I've learned that even after having a bad day or two, if I get right back on track as soon as possible, it really minimizes the damage. This week is the perfect example of that! I was bouncing between 133-134, but after eating 94 PP on Sunday, my weight was 135.5 on Monday morning. If I had used the "just one more day" mentality, those extra few pounds would likely still be hanging on. But I got on track immediately, and it dropped back down just as quickly as I put it on. 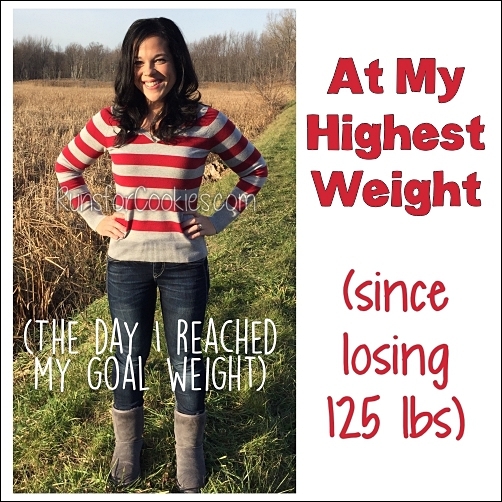 At first, the large jump in weight is just water weight, or the weight of the food itself, which is easy to take off within a day or two--I knew that at most, with the amount of calories I exceeded, it was only physiologically possible for me to have gained about half a pound of fat. But if I kept eating way over my allotted calories/PP, then the fat-gain would really add up, and it takes a lot longer to take off. Basically, the sooner I take care of a gain, the easier it is to take off; the longer my weight remains at a particular weight, the harder it is to lose it. When I started this post, I didn't intend to go into such depth about this! But I'm really hoping that this may help someone realize that it's never too late to get back on track. The sooner, the better, and using the "one more day" excuse just makes it that much harder to take off the gain later. I'm feeling very motivated going into this week, and I'm hoping that I'll be back at my happy weight of 131 next week. I have a couple of obstacles this week, both on Saturday. Saturday afternoon, I'm going to a wedding with a lunch reception. I don't know what the food situation will be there, but I'm just going to do my best and estimate the PointsPlus the best I can. Having a lunch reception, rather than dinner, makes it easier on me, because I won't be tempted to order lots of drinks! Congratulations, Kiwi! I hope you enjoy all the cat goodies as much as my cats have. Oh, and speaking of my cats, I weighed Chandler for Wednesday Weigh-in today also, and he's still at 24 pounds. So he's losing slowly, which is good; I was afraid that I was starving him, because he always wants more after he eats his allotted portion of food. I'm hoping he'll lose 1-2 pounds per month. Yeah - that slippery slope is a beast sometimes. I find it very hormone related, but that's me. That cookie sounds good - I would probably split that with John - and we would just go out for dessert and not dinner with it. Oh, and it would have to be on a bike ride day LOL! Thank you for your post about that damn slippery slope. I did that recently and gained 15lbs back of the 75 I lost. I'm back on track and got it off but am still about 30 from goal. This past Sunday I was out if town and too ate almost 100points:0 I consumed all my weekly, daily and activity points. Now on Monday I refocused and am happy to say I'm back on track! Thanks for sharing your struggles and how you overcome them bc they are the same struggles a lot of us have. Nice to know I'm not alone! So quick question for you: as a multiple cat owner myself, how do you feed your cats separately? I have one cat that is the perfect weight, another that is slightly overweight, and then I have a Chandler of my own! I'm afraid to feed them separately because I think EmmaLeigh (my Chandler) will eat Cricket's (my healthy weight cat) food.....any suggestions? You can email me at jolynn.oshaughnessy@gmail.com :) Thanks Katie! Biaggi's is amazing!!! I live just down the road. :-) There Eggplant parmesan is REALLY good! You get two thick slices and I normally can only eat one. Beware of the bread with olive oil and parmesan cheese. It's amazing and hard to resist. There is a Running Store in Levis Common's Called Second Sole. They are really nice and that's where I buy all my shoes. i've been reading your blog non-stop for the past two weeks. You have been the inspiration to me to get back on track and i just want to say thank you! This post is also something i needed to hear today. Had a crappy day and i was already making plans to go out to eat for breakfast tomorrow and after i read this i changed my plans with my friend to going for a walk! just wanted to stop by and say thanks sharing your story. Thank you for writing about the slippery slope. I have playing this game for months and 20lbs came back. This week, my plan has been to stay within my calorie budget every day. I completely agree with you about how hard it is to get back on track -- "what's one more day?" I love your blog - it is truly inspirational. Hmmmm could you possibly have hay fever Katie? 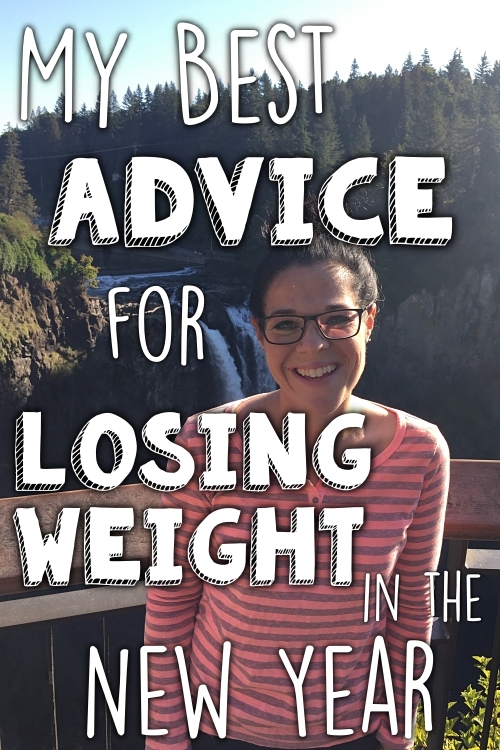 My fear at first was that if I slipped up one time, I would just go crazy, and gain all the weight back, unable to get back on track. I think I have proven to myself that I CAN get back on track after a bad day or two, and that might be key to this maintenance. It is, indeed, a slippery slope and so very easy to slide all the way down once we start. I had a bad day on Tuesday, eating way too many snacks. The scale was actually down a pound yesterday morning, so I'm sure this morning, after a pretty good day yesterday, the scale will be up. My bad days usually don't show up for a day or two. But I'm proud that I got back on track yesterday and hope it continues today. This toothache I developed yesterday is a good way to keep from eating anything at all, since that's what seems to set off the pain. My dentist appointment is at 9, it will be a relief to get rid of the toothache!! 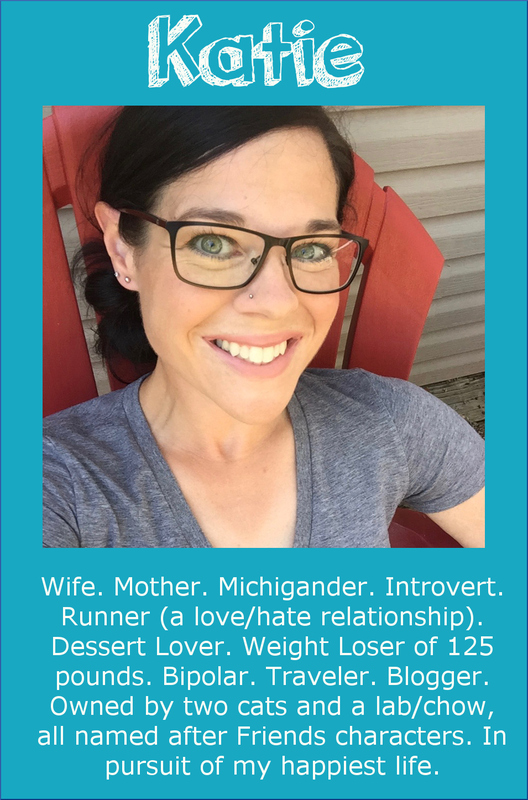 Your Blog is so inspiring and I love the promise you made to yourself...it strikes such a great balance between being human and focusing on accomplishing your goals. So, I'm going to borrow it :) It is so easy to let one bad day or one binge become another and another. My daughter is so excited about the cat toys for kiwi(and the other 3!) Thank you so much for the contest, it was fun. All your cat posts were so helpful and we learned some things. Way to go tracking your nearly 100 pts. I have never tracked that high which is not saying I have never eaten that high but by that point I have usually given up, so I would say that is an accomplishment in itself! We have been talking about you lately at my house as I am one day away from a record week for activity points. A few weeks ago I told my fiance that you said you get 60+ per week which seemed crazy from my goal of 30-35 but a couple days ago I realized I had gotten a ton so far this week and with one day left I started the morning before my run at 55 points! I am swimming tonight and if that doesn't finish me off my fiance promised to run around the neighborhood with me until I hit 60. He helped me to see I too am capable of getting lots of activity points just like the "cookie lady" which is what he refers to you as. You are so right that the sooner you get back on track, the better. It's so easy to say, "Tomorrow I'll do better." I've been doing so well for a long time now, and it starts to make me nervous, like I am going to screw up. That Nutella thing sounds so....um.....gross? I was never a good liar ;) but I was also going to suggest splitting it if all else fails. I really appreciate you elaborating on your slippery slope post. I have been doing the "I've already screwed it up, I'll start Monday" things for like 9 months. I lost 70 lbs, then after a bout of depression last Summer, gained 30 lbs back. I got back on my anti-depressant and feel SOOO much better! what was I thinking going off of it? Good grief! Anyway, I am officially back on the wagon and feel so much better about everything. It's weird, when I am eating like crap it seems like the rest of my life follows suit and I feel like crap. Damn food! I am happy to be in a good place again and back on track to my goal. PS-I can't wait for you to be all caught up with Sons so I can ask you what you think about some stuff, but I don't want to spoil it. Ahhhh! I have been going by the "Eh, I already blew this day, I'll start tomorrow" mentality since the beginning of March, and I've gained 12 pounds. :( I really want tomorrow to be the day that I actually get back on track. Thanks for the post! 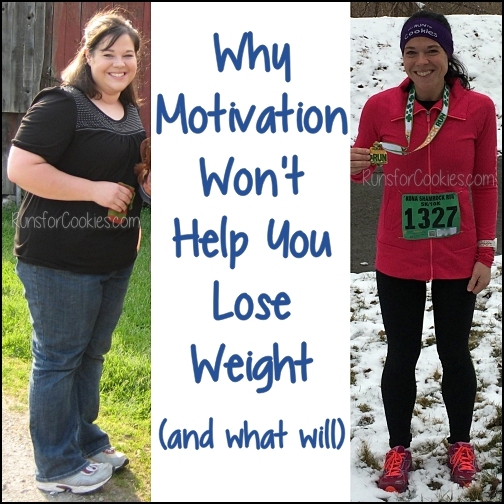 I recently discovered your blog and I have to say it was probably the one that finally inspired me to start the C25K program and try to get serious about losing weight. I have really enjoyed your blog tremendously! My comment today is actually about your cat, however! I also have one overweight cat, and he is on a diet. He is currently at 21 lbs. One thing my vet cautioned me about is restricting his food too much. Cats apparently lose weight very quickly if this is the case, which affects their kidneys and can be deadly. So slow is much better. It sounds like you're going about it the right way, as long as you're following the guidelines from a vet or professional.